If there is one thing we can all agree on in our house it's that we LOVE ICE CREAM!!! And with July being National Ice Cream Month, there is no greater way to say good-bye to the month than to have an ice cream party! We recently had a delicious ice cream party thanks to Jack Nicklaus Ice Cream and it was so fun (and golf-themed of course!). 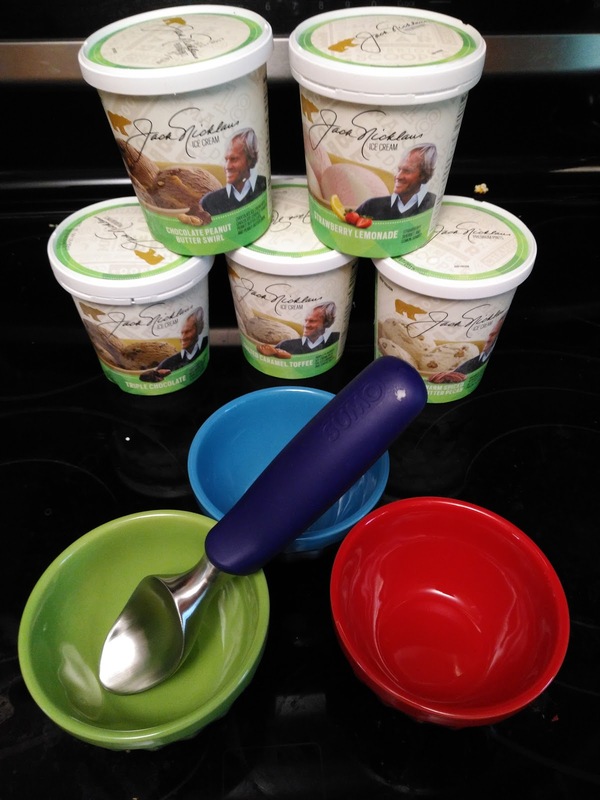 Jack Nicklaus Ice Cream was developed in partnership with legendary pro-golfer Jack Nicklaus and The Schwan Food Company in 2015 with the goal of bringing families together with an affordable, delicious dessert. Additionally, a portion of sales of the product goes to support Children’s Miracle Network Hospitals. We had so much fun having our golf-themed ice cream party on one of the hottest days of the summer so far here in Minnesota. 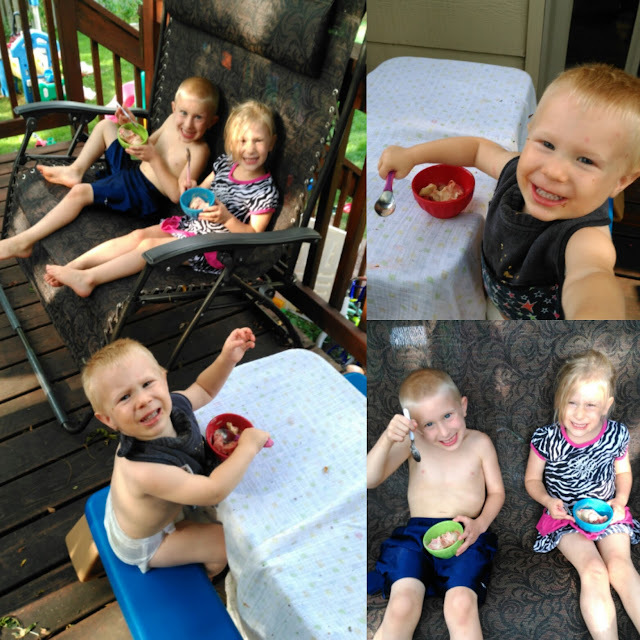 We started by having our delicious cold ice cream in our new ice cream bowls and the smiles on those faces show how delicious it was! The flavors from Jack Nicklaus Ice Cream seemed to just get better with each flavor I tried! They have such a delicious variety of flavors that it was so hard to pick just one (so I may have sampled every single kind!). 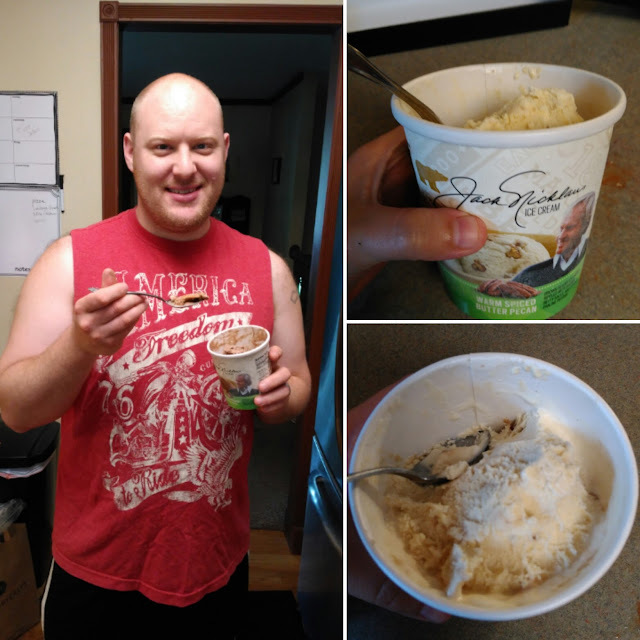 My husband LOVED the Chocolate Peanut Butter Swirl ice cream and I couldn't get him to stop once he started! And I just can't choose my favorite between the Warm Spiced Butter Pecan and the Salted Caramel Toffee! Each kind was so smooth, silky and sweet! It was the perfect treat for a hot day! 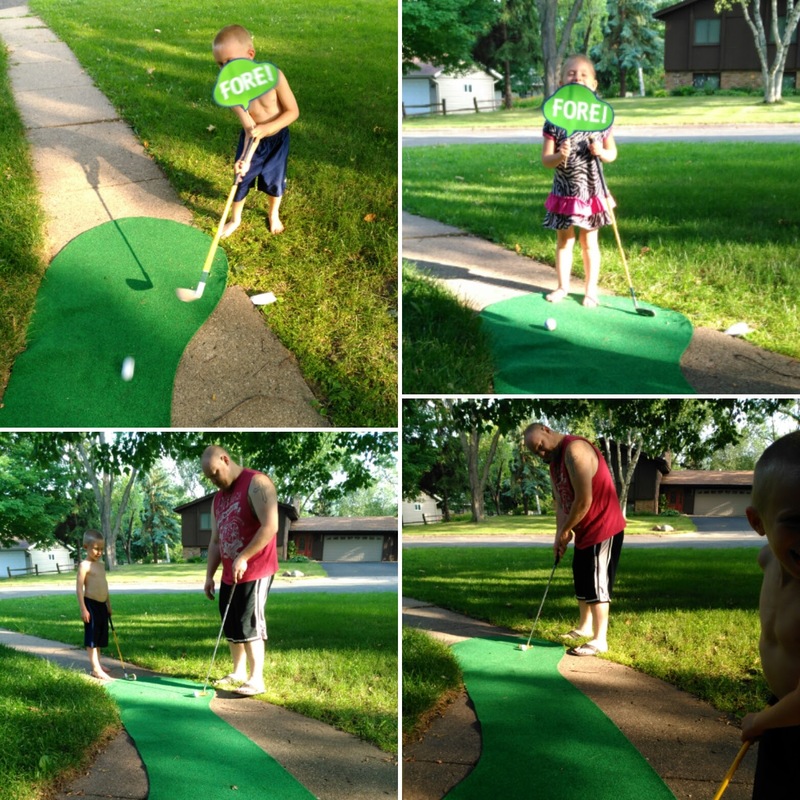 Then my children couldn't wait to pretend to be Jack Nicklaus and play golf! 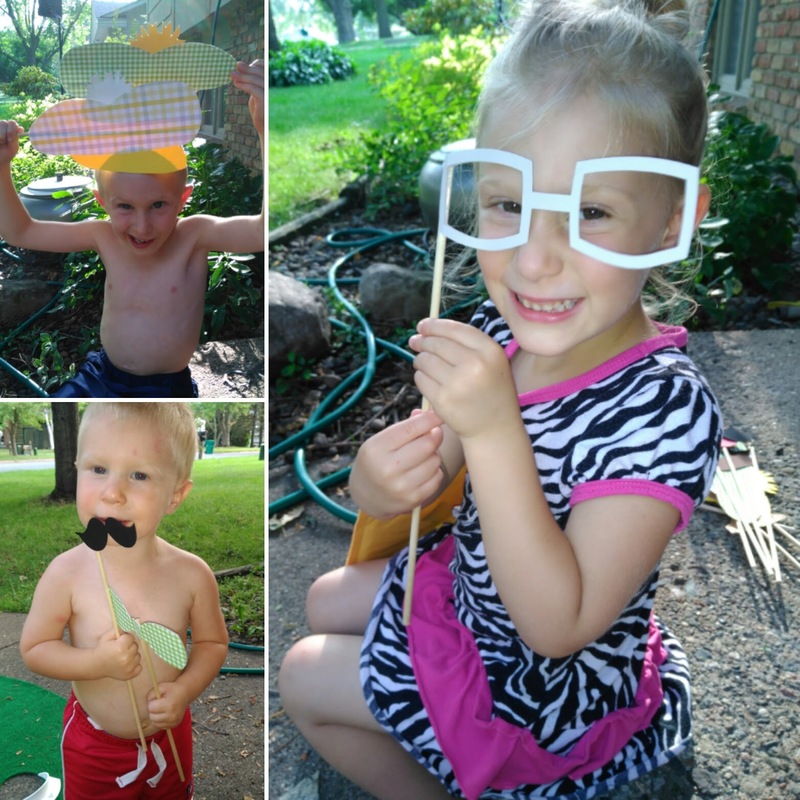 Plus we got to take funny pictures with the fun golf props! We all had so much fun and the kids didn't want the evening to end!!! 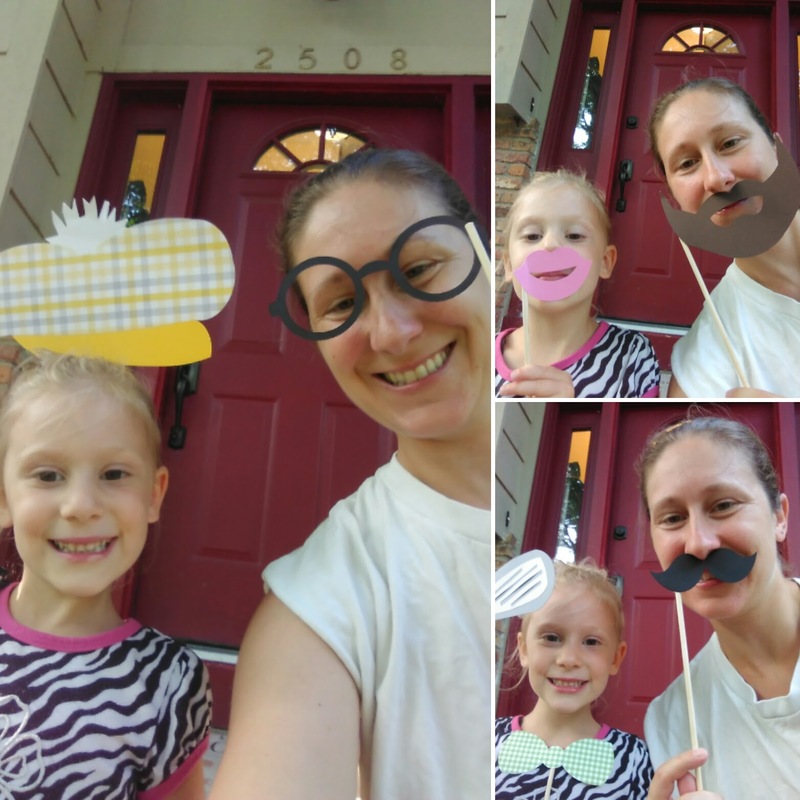 We got so many fun pictures I just have to share them! The kids...and the adults had so much fun! 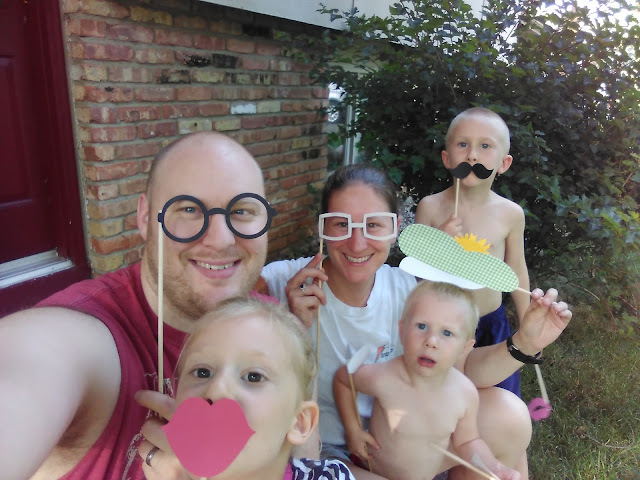 Not only was the Jack Nicklaus Ice Cream delicious but it brought our whole family together to cool down on a hot summer day, practice our golfing and have tons of fun together! That is what summer evenings should be like and it is memories made I hope none of us will ever forget! You can purchase Jack Nicklaus Ice Cream from the Schwan's website. Jack Nicklaus Ice Cream is generously offering (1) Jack Nicklaus Prize Pack Including A Jack Nicklaus tumbler cup, A JN golf ball, JN coupons & One $100 Visa gift card) to a lucky winner! The pictures are great...looks like a lot of fun! The ice cream flavors sound delicious and I love that they donate part of the sales to the Children’s Miracle Network Hospitals.